My passion was born with her and her “colored pieces”, and grown with the art school, the love for drawing and studying colors. 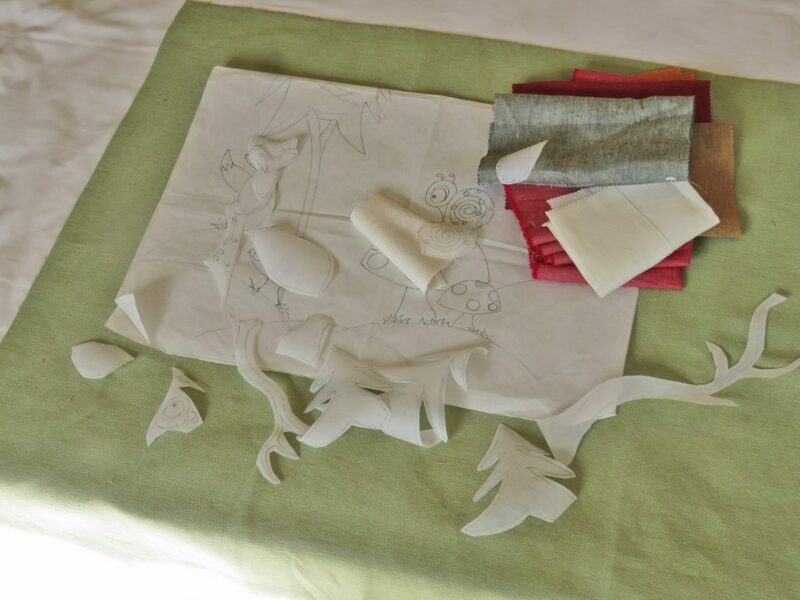 I have internalized the art of the storytelling by working for several years in a well-known publishing house, and today I am relating fairy tale on fabrics using colored rags, creating unique pieces and exclusive layettes. 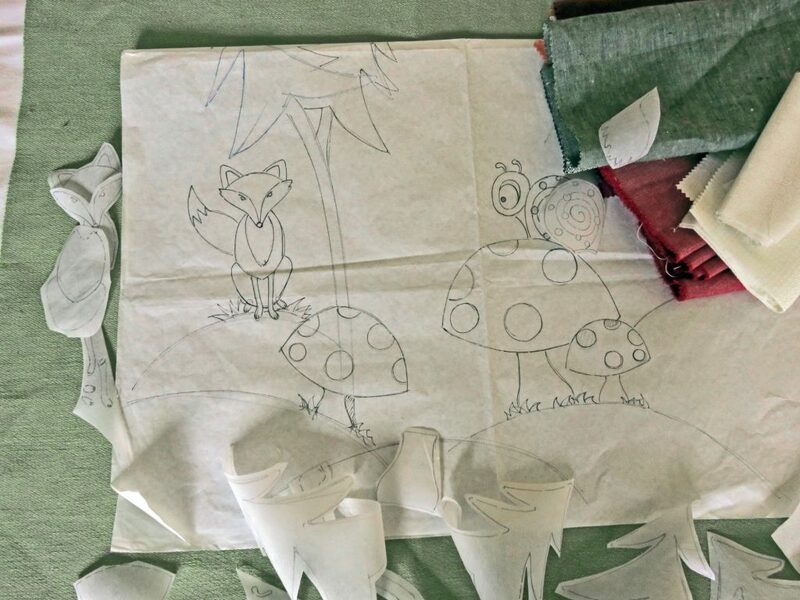 Drawings and fabrics, the two passions that chase me; returned to my city, I started to frequent the back room of my favorite store, an old fabric shop, everything looks beautiful, dust apart. Impalpable and refined silks, brocades with shimmering colors, linens that look like paintings, and cottons with naive designs and colors. 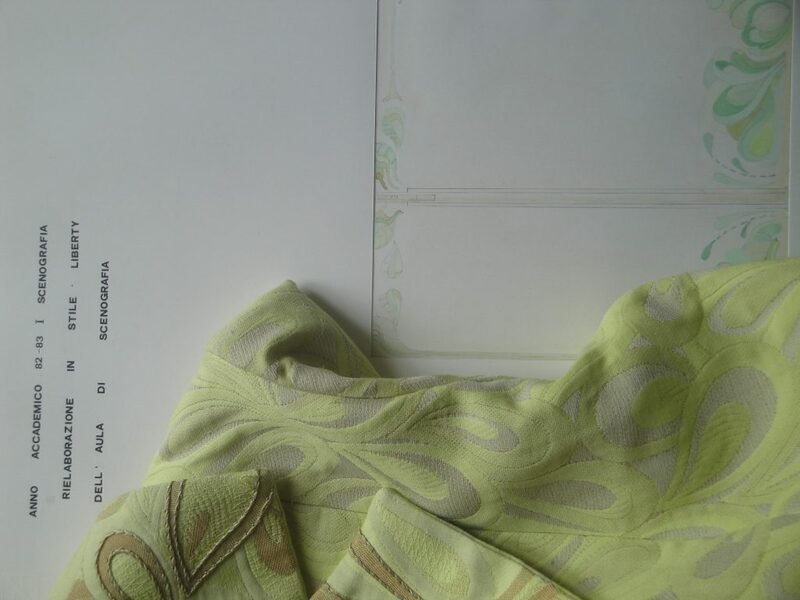 One of the first cottons brought home, I liked it immediately because it was green, my favorite color, but I also discover that its design is very similar to the swirls that decorate my first job at the Academy of Fine Arts: Art Nouveau swirls and of green color. 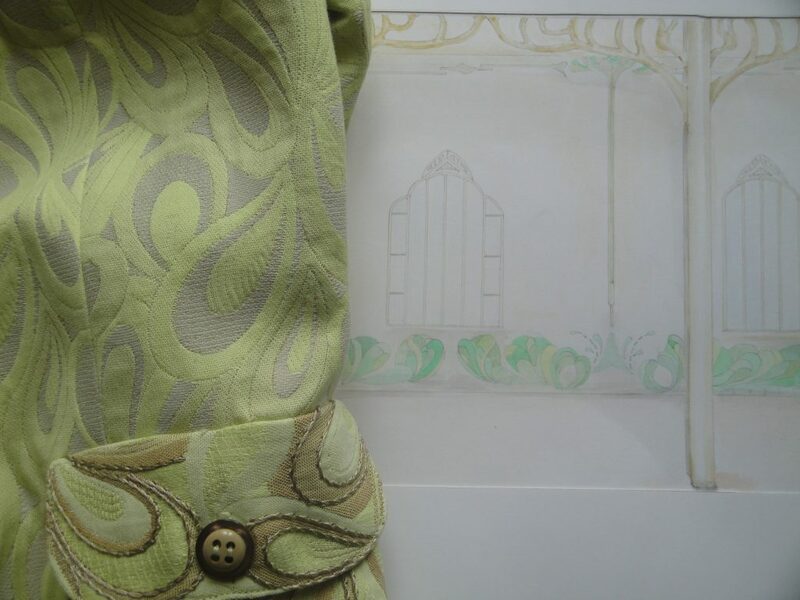 That fabric has become a lovely jacket with embroidered inserts, a technique that I continue to use “to mark” part of a design to give more importance and therefore life.